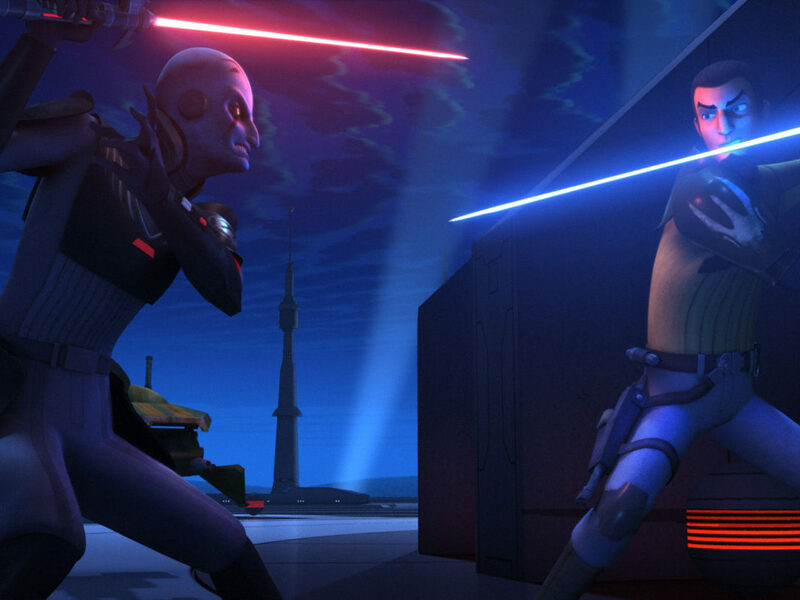 Hera meets Thrawn, and the Twi'lek must make sacrifices to survive. 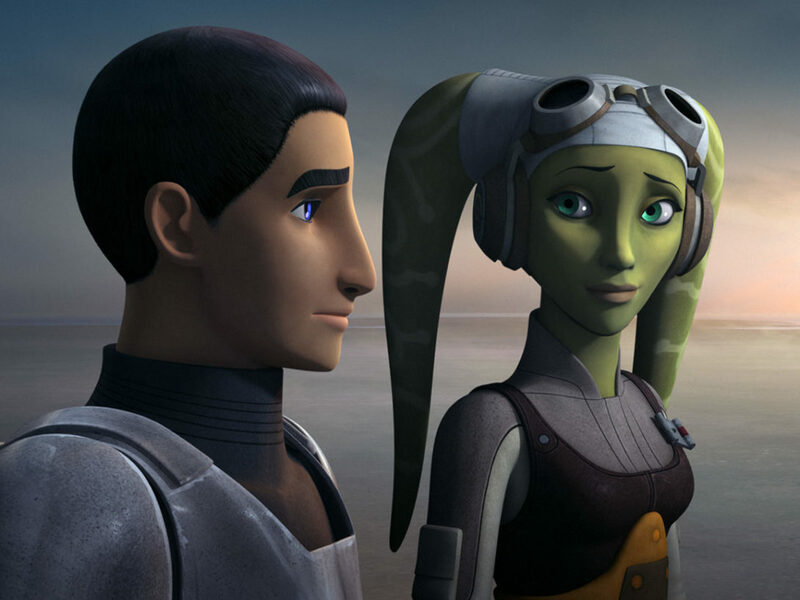 When the Empire takes over the Syndulla ancestral home, Hera plans a mission to recover a precious piece of her family’s past. 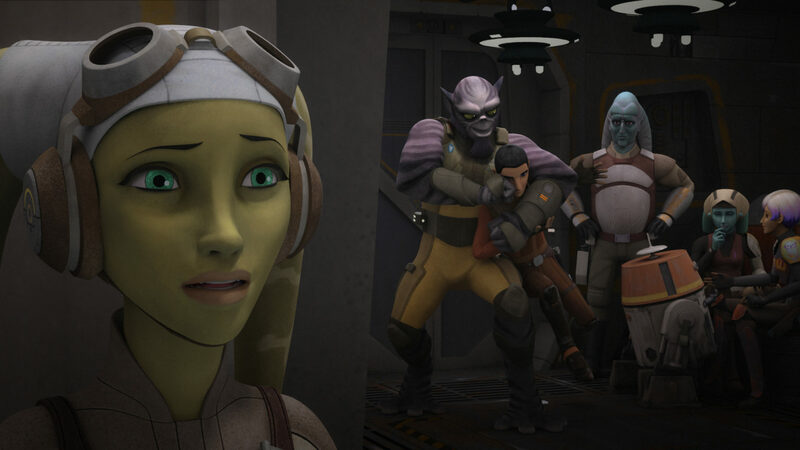 Hera’s friends support her all the way, teching her that everything she’s trying to rescue is already safe. 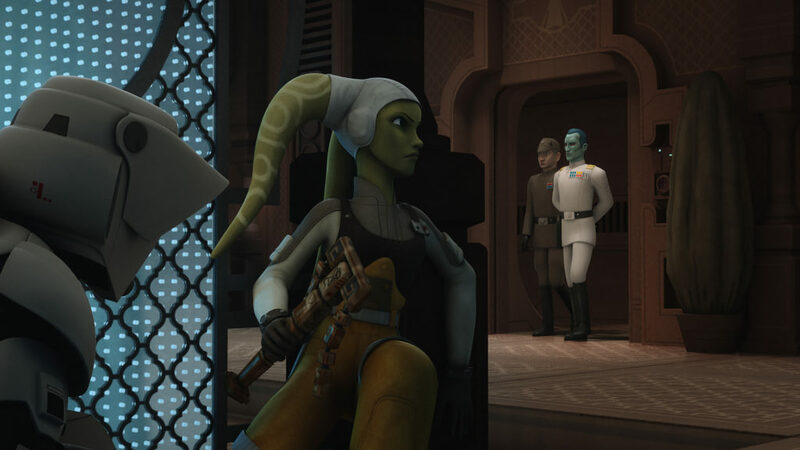 “Hera’s Heroes” is an essential episode for fans of our favorite Twi’lek pilot — and fans of Thrawn. Here are my 10 favorite moments from the episode! Numa teasing Cham about his seriousness. 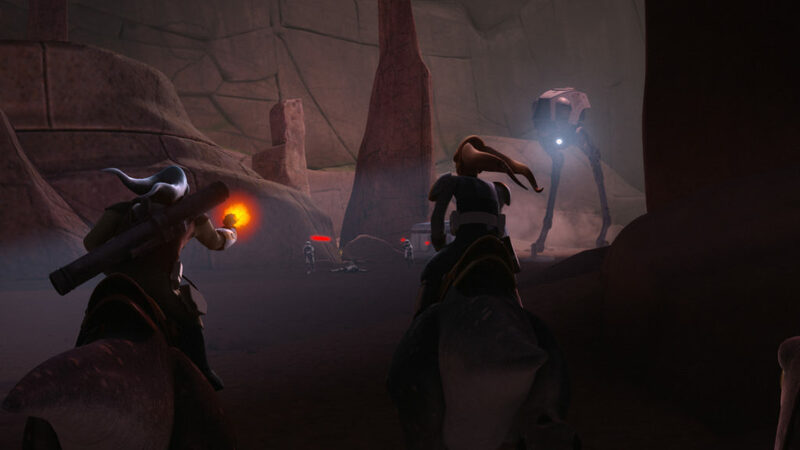 Speeder bikes vs. blurrgs. Even a laugh when the biker scout thought he had them and they had him. Everything about this opening was fantastic. I think that new armor is gonna come in handy. Seeing Cham and Hera hug made me smile so hard! But the news isn’t good. 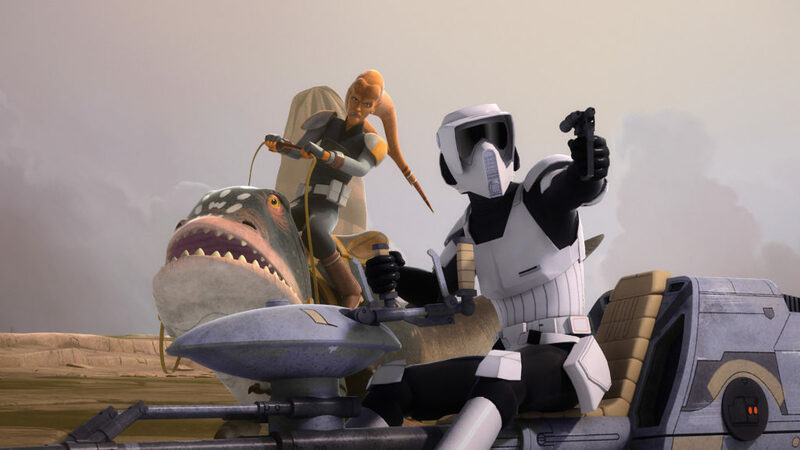 With Tann province occupied and the Syndulla family home being used by the Empire’s Captain Slavin, Hera is determined to retrieve the Kalikori and no one is about to let her go in alone. 3. That’s one heck of a diversion. 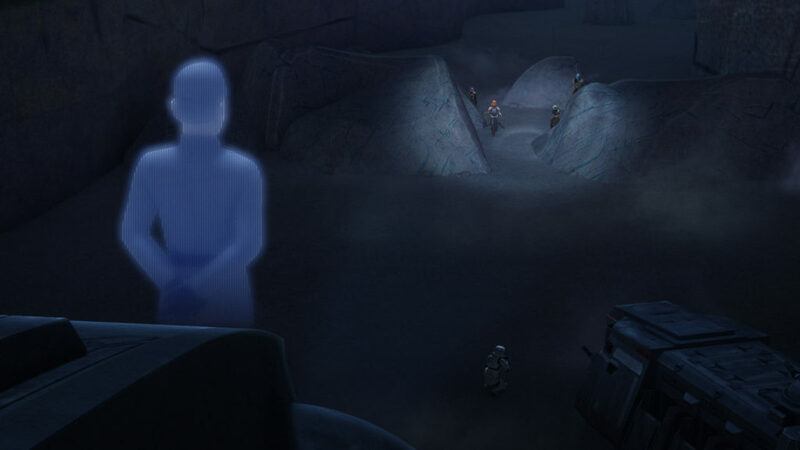 The Empire thinks they have this part of Ryloth all locked up, but Cham, Kanan, Numa, Sabine, Gobi, and Zeb have other plans. 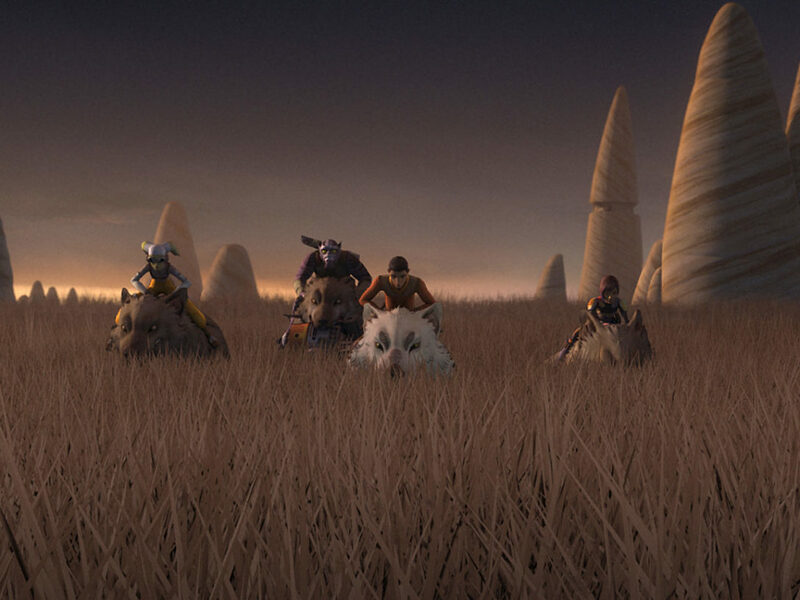 Their three-pronged attack certainly gets the Empire’s attention and provides ample cover for Ezra and Hera to slip past. 4. Chopper and the Y-wing: A Star Wars Story. 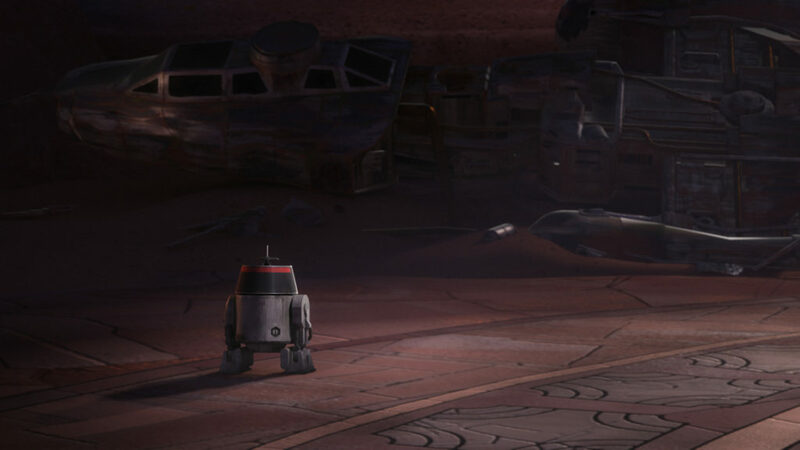 I admit, I forget that Chopper had a different life before we met him and seeing him sitting sadly by the crashed Y-wing made my heart hurt for him. Cham left the ship as a memorial and Chopper is definitely grieving something. But what? 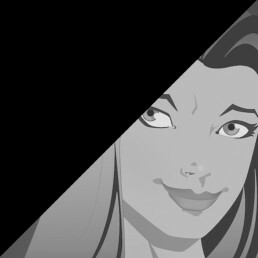 Wasn’t Hera’s mother beautiful? 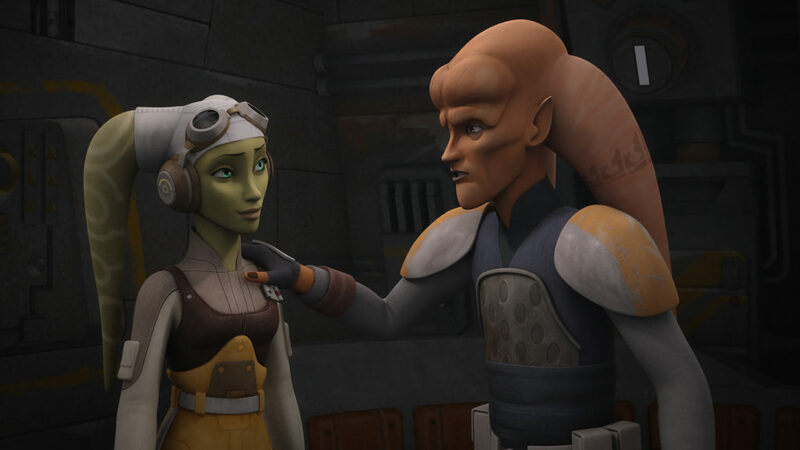 Hera is more focused on finding the Kalikori, but her voice as she talks to Ezra about her mother is full of love. Once they have the Kalikori, they’re almost in the clear. That is, until Thrawn appears. 6. Chopper is always good at being a diversion. 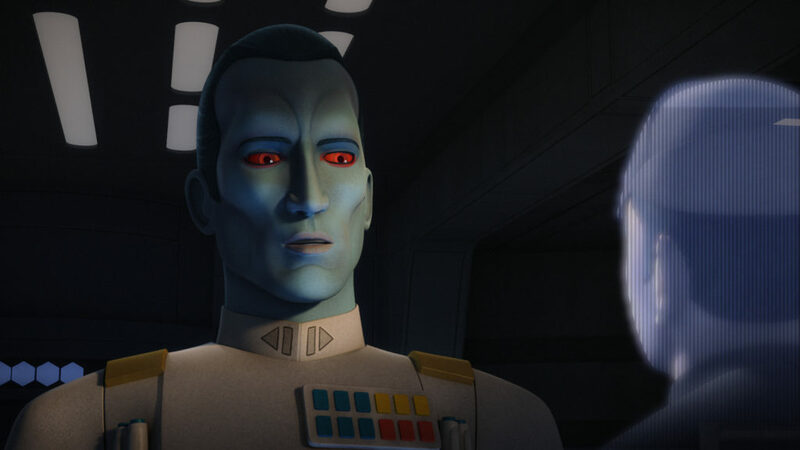 Normally, Chopper would have all eyes on him, but Thrawn only has eyes for Hera — and those eyes are sharp. He knows Hera isn’t what she seems when she pretends to be a refugee, and he knows quite a bit more. 7. 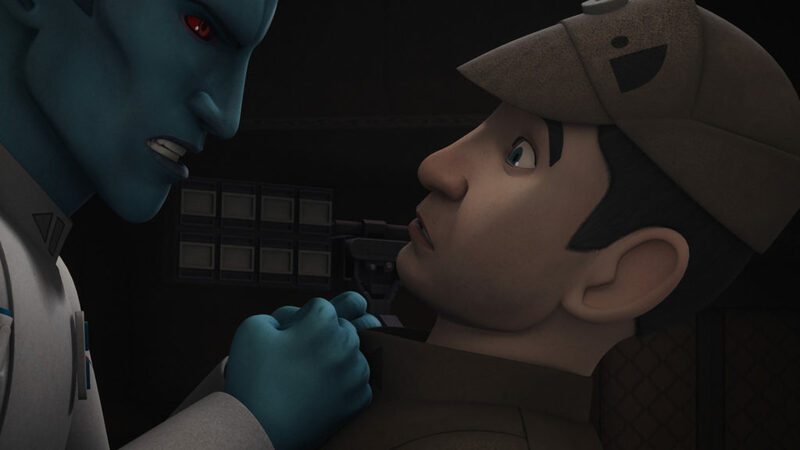 Don’t make Thrawn angry. You wouldn’t like him when he’s angry. 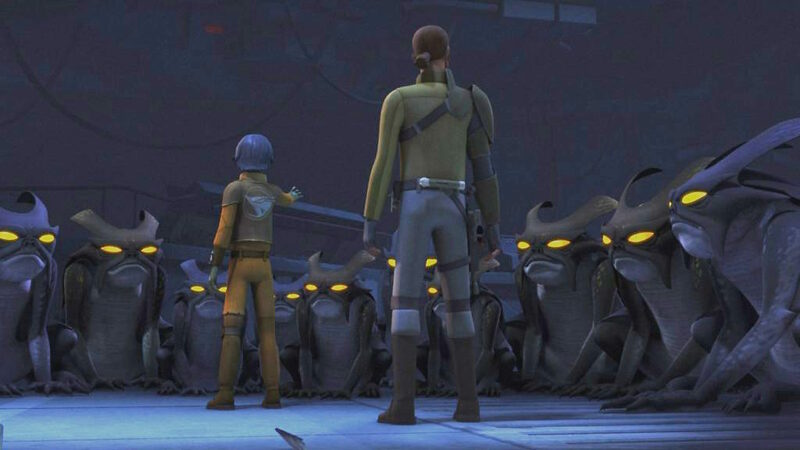 That snarl when Slavin calls the Kalikori “Twi’lek trash” is so fascinating. Cool as a cucumber in battle or leading the fleet, the Grand Admiral becomes almost feral when another world’s art is dismissed. It’s only a flash, but it’s a very informative flash. What exactly was Thrawn’s experiment? 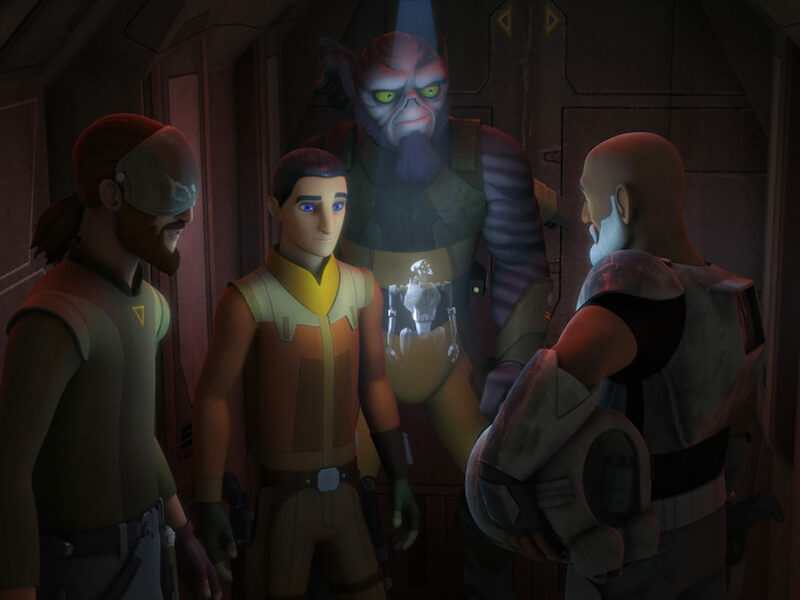 He allows Slavin to trade Hera for Cham, but what is he trying to decipher? Things could go in a number of directions. 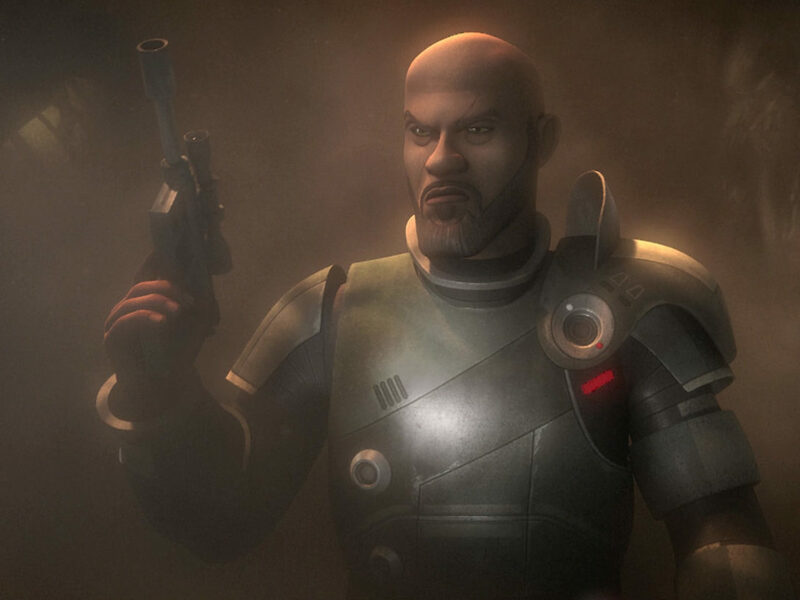 Did he consider the possibility that Hera would blow up her house instead of leaving it for the Empire or letting her father become a prisoner? Maybe. Or maybe she surprised him. 9. 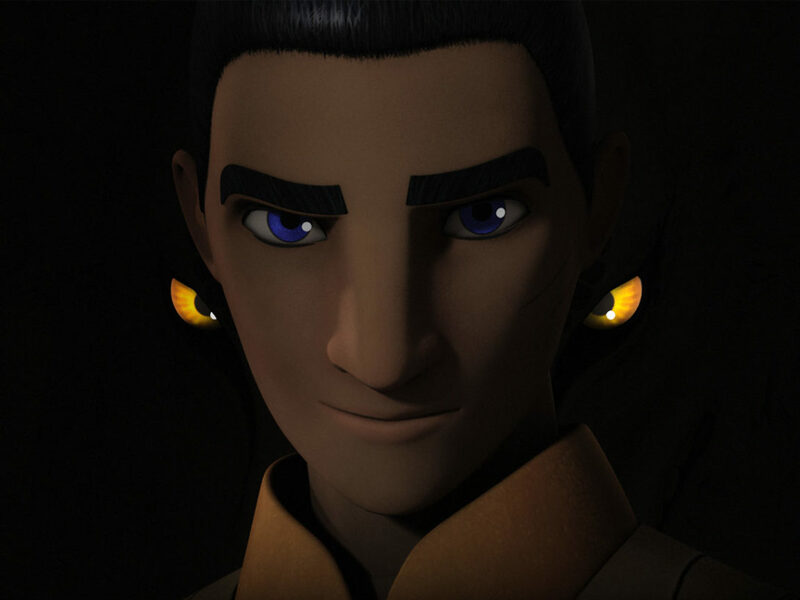 Everything is information gathering to Thrawn. If there was any question on whether Thrawn was playing the long game, his decision to let the Ghost escape says a lot about him. As does the fact that he found the entire interaction to be “very enlightening.” They’ve earned his respect, but he’s not likely to make that sort of mistake again. Once they’re back on the Ghost, Hera realizes that she doesn’t need the Kalikori because her family legacy is all around her. 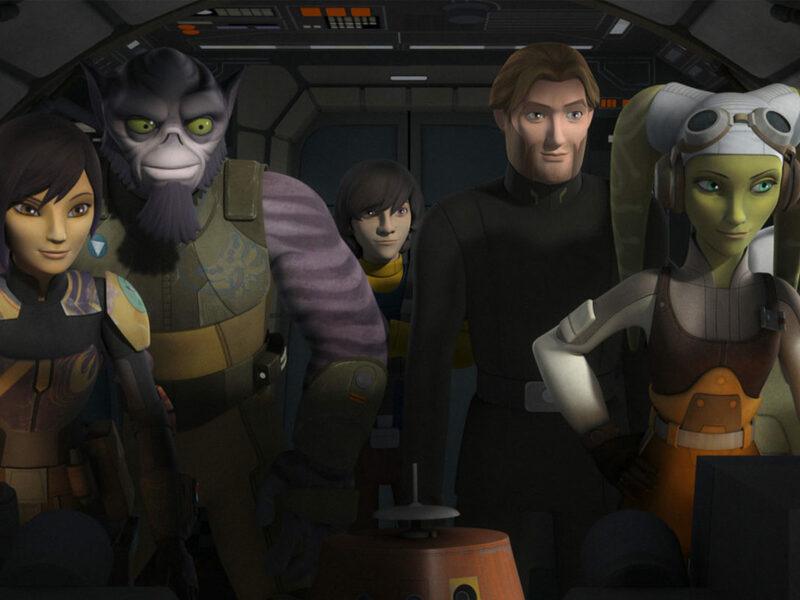 In Cham, in Kanan, Ezra, Zeb, Sabine, and even Chopper. She already has her family and, through them, her mother’s memory lives on.